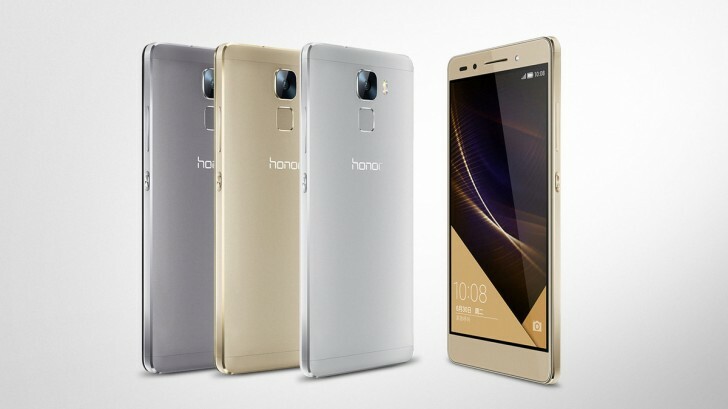 Huawei unveiled the Honor 7 at the end of June, and it's so far been available to buy only in China. But that's set to change next month, when the affordable smartphone is due to make it to the UK. A few weeks back Huawei released a promo video for the Honor 7 in which it basically confirmed that it would sell the handset in Europe eventually. And now we know when the Honor 7 will be offered outside of China. The Honor 7 will get a special launch event in the UK on August 27. It might become available soon after that, certainly in unlocked and SIM-free form (as has been the case with previous Honor-branded devices). The phone features an aluminum alloy construction and comes with a 5.2-inch 1080p touchscreen, a 20 MP rear camera, an 8 MP selfie shooter, 3GB of RAM, 16 or 64GB of expandable storage, and a 3,100 mAh battery. It's powered by Huawei's own Kirin 935 SoC, with an octa-core Cortex-A53 CPU clocked at up to 2.2 GHz. It runs Android 5.0 Lollipop, with the Chinese company's Emotion UI 3.1 on top. i am very badly waiting for this phone .. please tell me when this phone will be available in india ? ?